A Handy Guide to Edible Flowers #Infographic ~ Visualistan '+g+"
It’s fair to say that as home chefs, we are all becoming more creative than ever before. Supermarket shelves are more diverse, meaning we can try out new flavours and recipes which might not have previously come to our attention. Something which has grown into somewhat of a trend in recent years is the use of edible flowers to both add to the appearance and flavour of certain dishes. You may have seen them used by revisions chefs or even had them served to you at a restaurant. So, how do you go about using them in your everyday cooking? There are plenty of examples of finishing off a cake with a sprinkle of edible petals, but what if you want more than that? 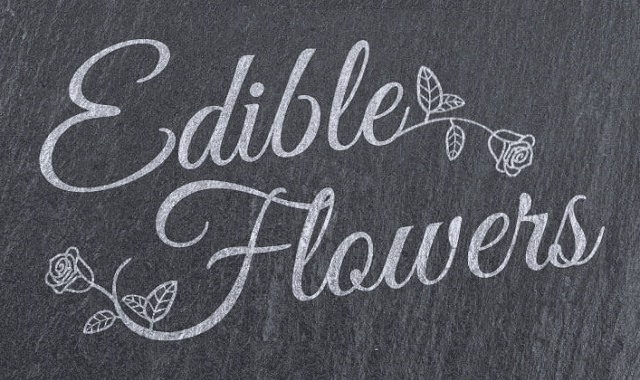 Well, flowercard.co.uk has created this helpful infographic titled ‘A Handy Guide to Edible Flowers’ which gives you a rundown of all the edible petals available as well as a variety of ways to use them. Take a look below for yourself.